I once saw a picture of Jim Harrison’s library office which I can no longer find. The scene is scorched in my memory, and I continue to attempt to grasp my idolatry of the man. This article in Outside Magazine compares him to a Tribal Elder, which I find amusing. Here is an article Jim wrote about his infatuation with bird dogs. How I’d like instead to take a glimpse at his bird-reference manual. Of trivial Interest, both articles were published on the same date: 31 August, seven years apart. If you prefer to watch something related to Jim, here is an Anthony Bourdain No Reservations episode staring Dan Lahren, Jim Harrison’s fly fishing guide. 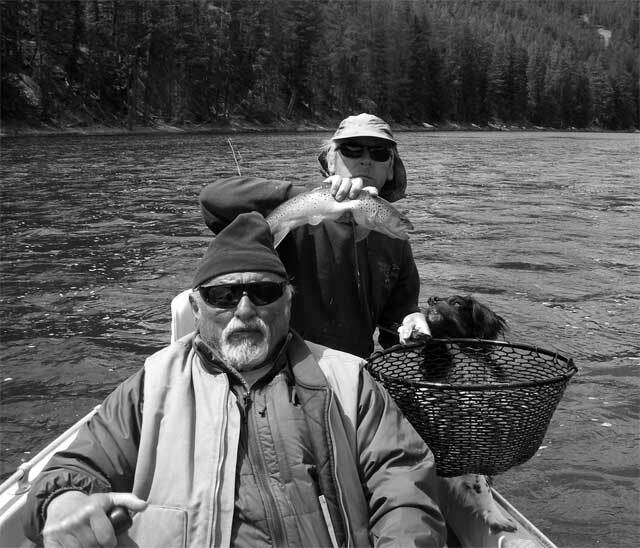 Did you know Jim dismissed an invitation to be a the Cannes film festival juror because he prefers to fish the Big Hole River during the month of May [Source: Jim Harrison A comprehensive Bibliography, 1964 – 2008, page xvii]?